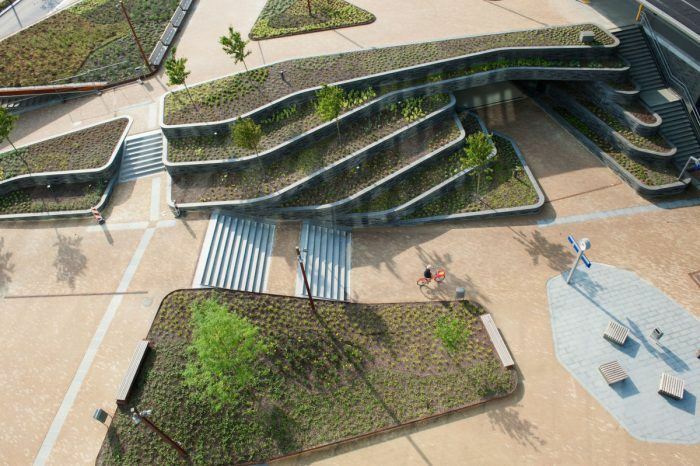 The oft-unused spaces on top of city roofs can be transformed into vibrant, verdant gardens. A green roof retains water, filters particulate matter and offers space for butterflies, birds and insects. A green roof contributes to a cool house in the summer and ensures lower energy use during winter. Considering the large total roof surface area, green roofs can contribute significantly to a climate-adaptive city. The municipalities of Groningen and Leeuwarden are making active efforts to increase the green surface area. Installation of green roofs is subsidised in both Groningen and Leeuwarden. Thanks to these subsidies, 10,000 m2 of green roofs have been installed in Groningen already.